Falmouth Yachtsmen Varsity loses to Cape Elizabeth 3-1. Cam Guarino did his best to change the outcome, but Guarino couldn't will Falmouth past Cape Elizabeth, as the Yachtsmen lost 3-1 in seven innings at Cape Elizabeth HS on Wednesday. 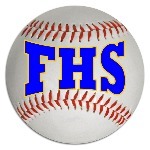 Guarino was a workhorse on the bump for Falmouth Yachtsmen Varsity. Guarino allowed no earned runs, five hits and no walks while striking out two over six innings of work. Marshall Peterson got the win for Cape Elizabeth . He allowed one run over 6 2/3 innings. He struck out three, walked none and surrendered five hits. Guarino ended up on the wrong side of the pitching decision, charged with the loss. In the first inning, Falmouth Yachtsmen Varsity pushed across its only run of the day on a fielder's choice. Cape Elizabeth never trailed after scoring three runs in the third on three errors by Falmouth and an RBI single by #5.